There are currently 88,671 users on this website. Just weighing it will tell you. ...or an unorthodox way is to drop it on a countertop. If it goes tick tick tick it's zinc. If it goes ting ting ting it's copper. Thanks for the info everyone....I don't have a scale....but reading many posts and seeing all the pictures on this site has really taught me a great deal! You people are the best! Thank you all again......Tricia. .
99.9999% chance it is a zinc coin. 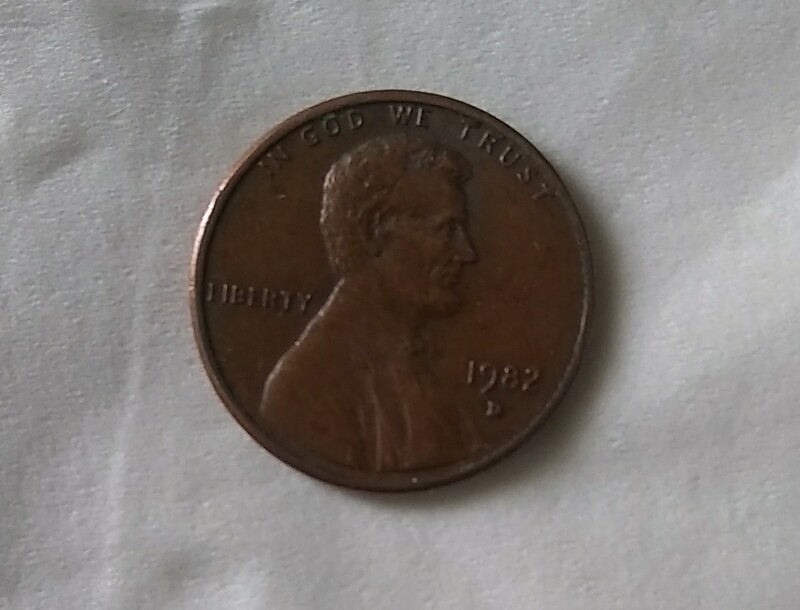 Only a very few '82 D small dates have been found in bronze. Weight will verify as previously stated. And do NOT drop any coins to check them for anything. Listening for ding or dang or anything just adds dents to coins. You can make a popsicle stick scale. It's easy and fun! Google it. It works and is a great teaching tool.